Featuring private street entrance, 24 hr concierge, dramatic spa lounge, rooftop sky deck, and convenient Yonge Street shops nearby, there is no better place to purchase pre-construction! Choose from one bedroom, one bedroom + den, two bedroom and two bedroom + den suites from the $300’s with 9′ & 10′ ceilings. 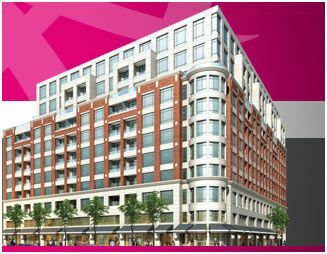 Allure Condos at Yonge and Eglinton are still in the Pre-construction phase and we are waiting for further details from the developer in regarding to floor plans and exact pricing. Contact us today to be a part of this great condo opportunity in a vibrant area of the city. By registering with us, you get access to special pricing discounts and front of the line access! The last new development at Yonge and Eglinton sold out in 2 days!! !…don’t miss out on these!